Citroën are justifiably proud of the 2CV, made from 1948 to 1990, as its company website shows [http://www.citroen.co.uk/about-citroen/our-brand/citroen-2cv]. The car got France back on the road after the Second World War, becoming as iconic as the original Volkswagen Beetle, and its outward simplicity belies the sheer lengths made to engineer a car that, for all intents and purposes, had to be like no other. However, “The Tin Snail” is also known for being very slow, having a 0-60 mph time of “eventually,” and having been introduced at a time when “crumple zones” were usually found inside the driver, which the 2CV solved by designing the front of the chassis to fold up in a crash. Examining the 2CV was makes clear why it cannot be judged against most cars, its own agenda being very different. 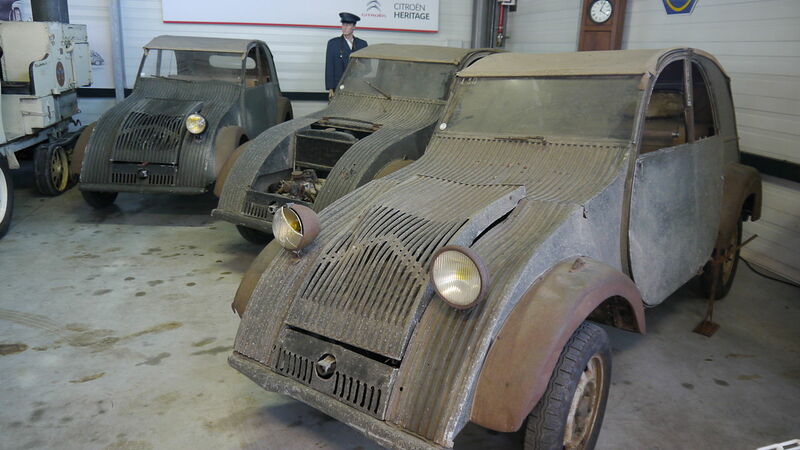 Despite its introduction in the same year as the Morris Minor, Citroën were producing prototypes and pre-production models as early as 1938 – most were destroyed before the Nazi invasion of France, but three were unearthed in a barn in 1995. 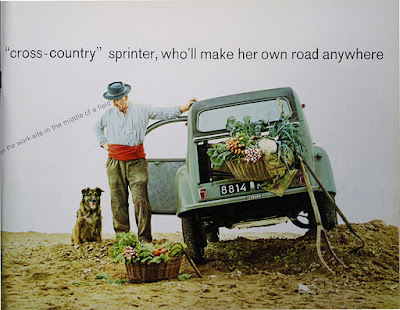 The intended customers were to be found across rural France, and an often-quoted set of rules the new car had to meet were formed, supported by surveys of up to ten thousand people: the 2CV had to power four people, carrying 50 kg of farm goods, at 30 mph, across muddy, unpaved roads. The most famous rule was it had to be able to carry eggs across a ploughed field, without breaking a single egg – just holding an egg in your hand is fraught with danger for some. 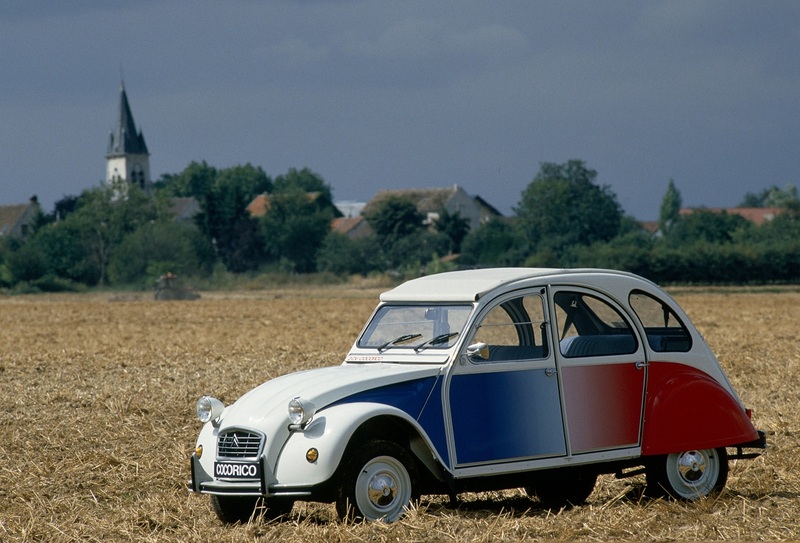 Right to the end of its production, the 2CV was the cheapest car on general sale, and this was the intention. Early prototypes had only one headlight and one brake light, giving the impression at night of only being a motorcycle, while a lack of door handles required the driver to lift a window to break into their own car – the first proper models on sale did have door handles, but then you couldn’t lock the doors. Anything that could be removed to save weight would be done, to keep fuel consumption down, before war caused the price of the aluminium bodywork to skyrocket. However, the steel bodies produced could be repaired and replaced with a few bolts by practically anyone, and it soon became available in colours other than slate grey. The 2CV engine was never built for speed – it could catch up with a moped, while later versions could reach 71 mph but, again, that was not the point. The specially-designed two-stroke engine did without an oil thermostat, radiator and drive belt, and placed an oil cooler just behind the engine fan, which had been bolted onto the crankshaft. This means that the engine ran most efficiently when you buried the accelerator pedal into the floor, and kept it there. 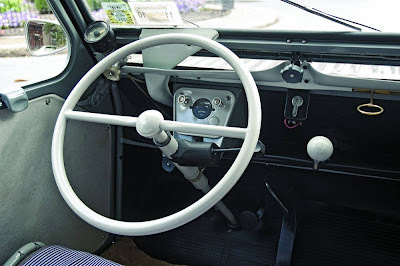 It also meant the windscreen wipers worked at their best, as their being powered by the speedometer meant, as you drove more quickly, the faster they moved. If you wanted to keep the engine from running too cold, in cold weather, Citroën provided a “muff” (their name) to block the grille. Furthermore, if you bought your 2CV in 1990, and couldn’t get your key ignition to start your car, you were still being provided with a starting handle. 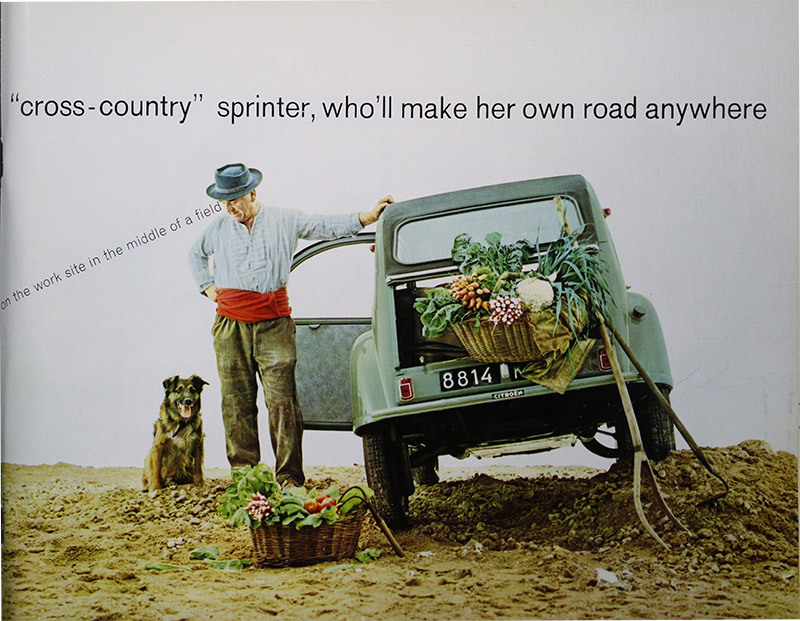 For the unpaved French roads, independent suspension for all four wheels, the first radial tyres, front wheel drive, and a four-speed gearbox were innovations usually seen on more expensive cars – a four-wheel drive version, the Sahara, was also produced for a while, which put a second engine in the boot. Safety and emissions standards eventually ended 2CV production, and the standards and regulations that now exist mean a similar car will not be made – here’s hoping that, when the next challenge is found, someone from Citroën gets there first.